Every student has their own personal meal account based on their student ID number. Students can access their accounts on the PIN pads located at every register. We are assuming that all students know their student ID number used for academic eligibility, but if they forget, we can access it through every register. It is strongly recommended that all students remember their ID numbers, as this will make the meal serving lines move faster. Your children may be eligible for the Free and Reduced Price Meal Program﻿. Applications are available online in each school office, under Free and Reduced Price Meal Application﻿, or by contacting the Child Nutrition Department office at 830-569-1367. 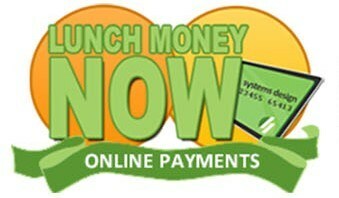 Click on "Make a Payment" to open Lunch Money Now﻿. You will be able to create a new account to manage your child’s lunch payments. A fee of $1.95 is charged for each transaction. You may also fund your child’s account by sending a check or bringing a cash payment to the cafeteria. Below you will find a chart that list the prices for Breakfast and Lunch at Pleasanton ISD campuses. If at any time you have any questions, feel free to visit our website at www.pisd.us﻿ or call the Pleasanton ISD Child Nutrition Department at 830-569-1367.